Over one billion GIFs are sent each day to convey a funny, more relatable way to express our emotions. Now, you can have those same exciting interactions with your subscribers through your newsletters. We recently added a new way to integrate GIPHY into your content. You can add GIFs to your content by pressing the "+" within your content draft. Then, select the image/PDF icon. A box will pop up requesting a URL. 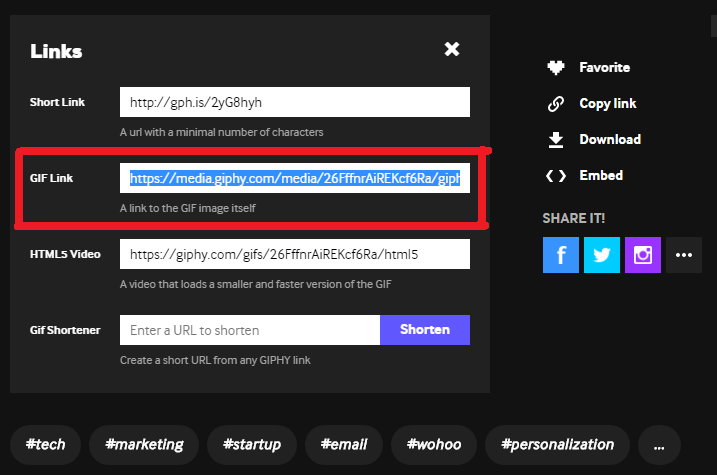 From giphy.com, select your preferred GIF> select 'Copy Link' > select 'GIF Link' and copy.